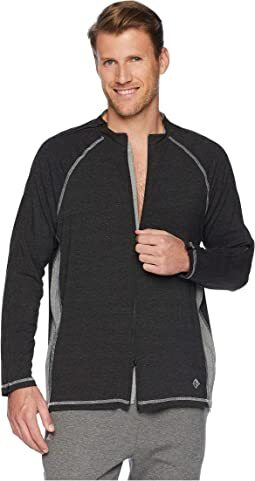 Reboundwear® delivers adaptive-athletic wear, for the style and comfort of millions of people who face the daily struggle of getting dressed in conventional clothing. When the founder of Reboundwear® experienced life after surgery for her children, parents, and friends, she was inspired to design a line of multi-functional T-shirts, long sleeve tees, joggers, and pants that reduce various dressing issues for those with limited mobility. Emphasizing on style and comfort, Reboundwear® delivers a stress-free solution for those that struggle to get dressed for doctor's appointments, hospital visits, and physical therapy. Reboundwear's minimal metallic-component design makes it safer and easier to wear in hospitals, eliminating interference with medical devices. 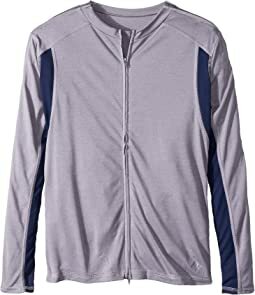 Skip the hassle and get back to it, with Reboundwear® – a line of multi-functional athletic wear that does not sacrifice comfort or style when it's needed most. 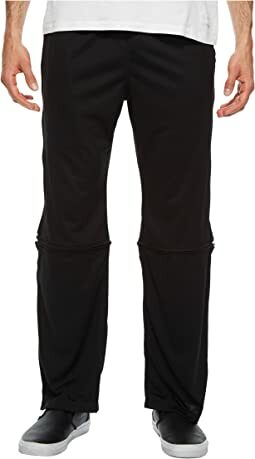 Bought these pants along with The Jenny top and Sophia Top (all ReboundWear) for my friend's daughter who is undergoing treatment for leukemia. She was so excited to receive the outfit and loved the bright colors of the tops along with the comfortable material of the pants. Her parents said how great it is to find clothing for her that looks like everyday kids clothes and functions beautifully so she doesn't have to be naked during treatments and when she is being monitored by sensors. 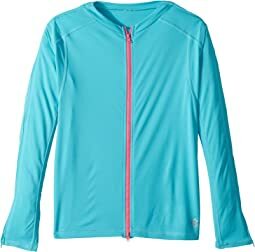 Bought this top along with Reboundwear's The Melissa Pants and the Jenny Top for my friend's daughter who has leukemia. She, along with her parents, were so happy with the purchase and said how great it was to find clothing for her that looks like everyday kids clothes and functions beautifully so she doesn't have to be naked during treatments and when she is being monitored by sensors. She was so excited to receive them and I was so glad to find something that will be helpful for the child and her parents! I bought this top along with Reboundwear's "The Melissa" pants and "The Sophia top" for a friend's daughter who has leukemia. 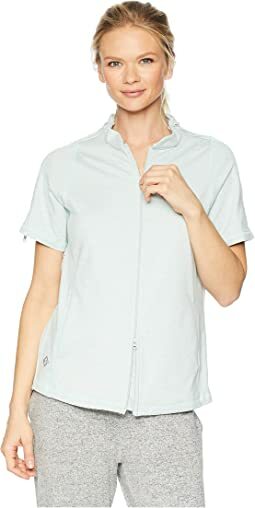 She is enduring a 2 years long of chemo treatments and is in isolation a lot of the time.It"s great to find clothing for her that looks like everyday kids clothes and functions beautifully so she doesn't have to be naked during treatments and when she is being monitored by sensors. She was so excited to receive them and I was so glad to find something that will be helpful for the child and her parents. 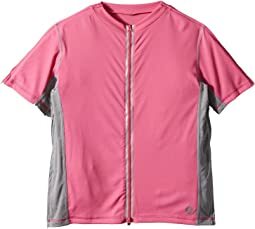 I bought this for my husband just before he had rotator cuff surgery, mainly because this was the only high-quality shirt available for post-surgical situations, but I wasn’t sure what to expect as far as comfort or performance. This shirt exceeded all expectations. This is a very high quality shirt, really well-made, expensive but worth it. The fabric is soft, strong, and stretchy enough that we could ease it over his arms; the zippers were easy to operate once we figured out how to get the shirt on. Do not lose the instructions, (or you can find them on the manufacturers website) because you’ll need them the first time you put it on. I don’t know what we’d have done without this shirt. It’s dressy enough that he was able to wear it out and look good; comfotable enough that he could have worn it all the time. It sure beats the huge cheap shirts we bought and then cut up to put over his sling, which are fine for at-home but wouldn’t wear in public. 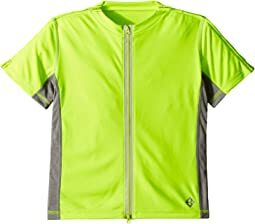 It washed and dried easily on cold, gentle cycle, then I tumble-dried it on very low for awhile and then dried it flat, because the zipper seams take longer to dry. I only wish they had some more colors, but really glad I took a chance on this because it was an essential part of his recovery—gave him a lift, made him feel presentable and comfortable.